Even if a chair is made of %100 recycled water bottles, it might not be eco-friendly. That’s because if it falls apart after three months, you will still be returning waste to the atmosphere. Therefore, an eco-conscious shopper should consider investing in a chair, or any other product, that is made to last. For the same reason, chairs that can be easily disassembled and have generous replacement options, are an environmental friendly bet. If one part of the chair is broken or lost, you won’t have to waste it. You can have the part replaced and save the Earth from one more dead chair. Besides for the actual chair, it’s important to consider the entire process that is involved in delivering the chair to your doorstep – from production, to packaging, to shipping. While it’s impossible to research every step of that process, some manufacturing companies are dedicated to sustainability and are usually vocal about it. This includes product resource management, waste management, energy conservation, water conservation and compliance with green policies. Go with a company that is dedicated to sustainability even behind-the-scenes. Recycled plastic or steel and other refurbished materials protect the environment by reusing existing materials, and by eliminating the need to process new materials. FSC- certified wood refers to wood that has been logged responsibly, according to the guidelines of the Forest Stewardship Council. In addition to using recycled materials, a product’s (in this case, office chair’s) green score relies heavily on its recyclability. For example, the popular Aeron Chair by Herman Miller is made of 62 percent recycled material, but is 94 percent recyclable. 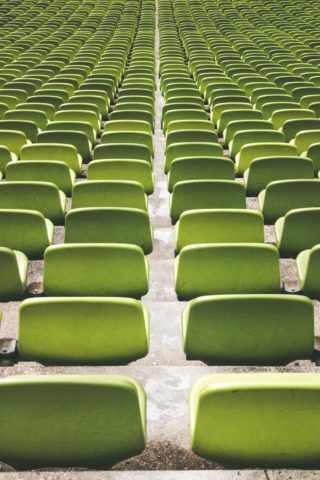 The Mirra Chair is made of a whopping 100 percent in recycled materials and is 96 percent recyclable. Low- or no-VOC stains, paints, glues, adhesives and finishes won’t contaminate air quality – which implies that there are some stains, glues, adhesives etc. that will contaminate air quality, and will have contaminated the environment during production. To save your office, and the planet from unnecessary toxic chemicals, be sure to buy office chairs that are certified by Greenguard or other certifiers, thus guaranteeing that they will not pollute the air. This list can be applied to other office furniture products as well. Also, ook out for the MBDC Cradle-to-Cradle certifications on the office products you buy. A complete description of their ranking and certification criteria can be found at their site www.mbdc.com. Good luck shopping, and enjoy your new office chair!